TBDA’s vision is to design a healthy, beautiful, low-carbon future. We’re a service profession, so the core of what we do is design buildings where people live, work, and play; but our vision is the attitude and purpose we bring to that service, the reason you would hire or work for us instead of the next firm. Let’s look at these values—healthy, beautiful, low-carbon–in a little more detail. How do we incorporate these into our work? The Passive House Institute US reviews the metrics and rationale of their standard on a three-year cycle. PHIUS+ 2018 was announced at the Passive House Conference in Boston this September, and I find it a brilliant and positive advancement. 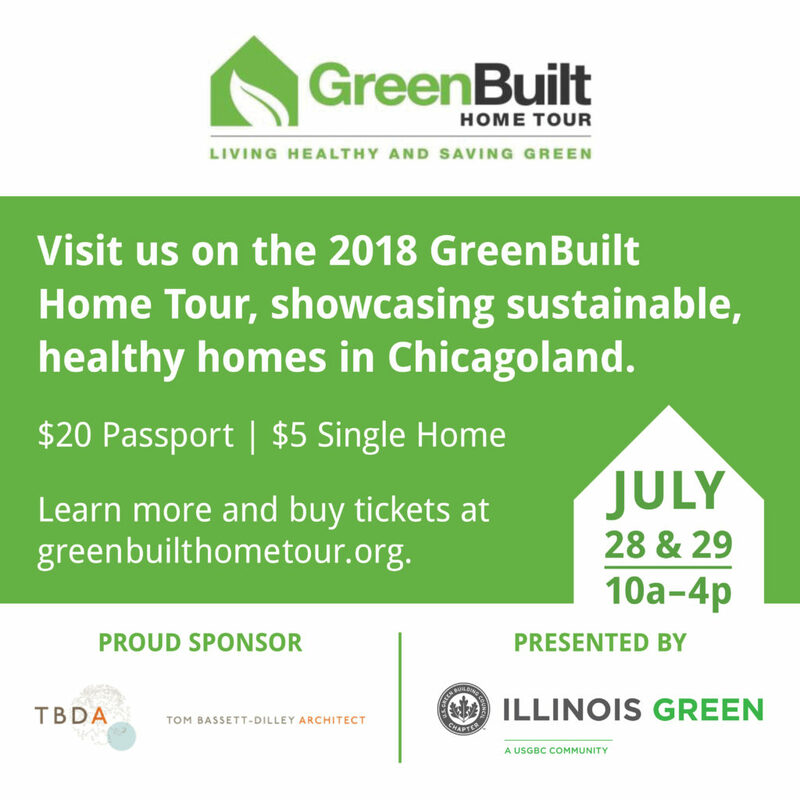 It’s our favorite tour of the year, the Green Built Home Tour, and our Modular Prefab Modern Farmhouse will be featured on this year’s tour on July 28-29, 2018. Our amazing clients, Nate & Deb, will open their new home for visitors to tour their innovative, prefab, modular, Zero Energy Ready Home (DOE). Tom will lead tours and answer all your questions about prefab and green design. 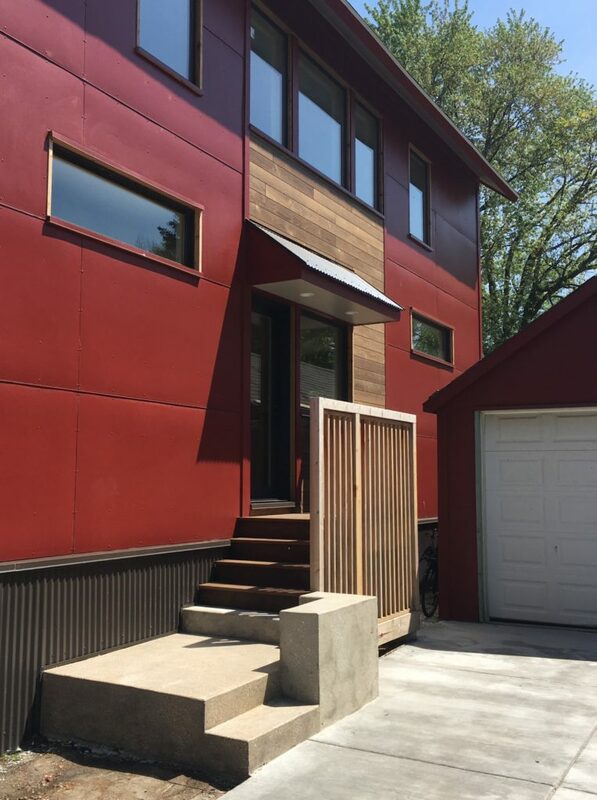 Tickets are available for purchase on the Green Built Home Tour site. Our colleagues at GreenHome Institute created this video, highlighting our Acorn Glade Passive House during the 2017 GreenBuilt Home Tour. Check it out! Our colleagues at GreenHome Institute created this video, highlighting our West Town Greenstar Retrofit, during the 2017 GreenBuilt Home Tour. Check it out! The modular prefab “Modern Farmhouse” was designed by TBDA, with module construction provided by Hi-Tech Housing in Bristol, Indiana. The six modules were shipped to the site and erected in one day, with finishes and fixtures being installed on-site by Himelick Contracting. ​Tom Bassett-Dilley ​and Eco Achievers ​led this mid-construction tour, where they described modular prefab process and how the DOE Zero Energy Ready Home program ensures energy efficiency, indoor air quality, and durability. On a perfect late summer day we invited a bunch of friends to watch our first modular prefab house being set.